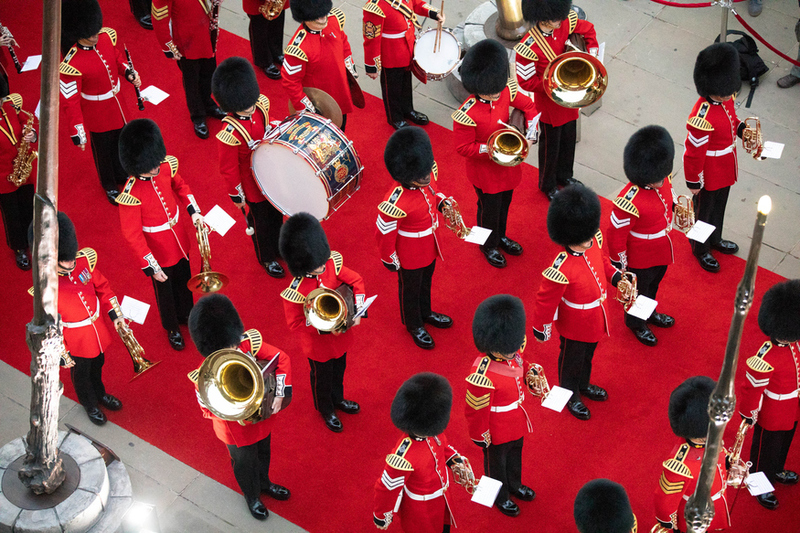 And as if by magic — they've materialised! 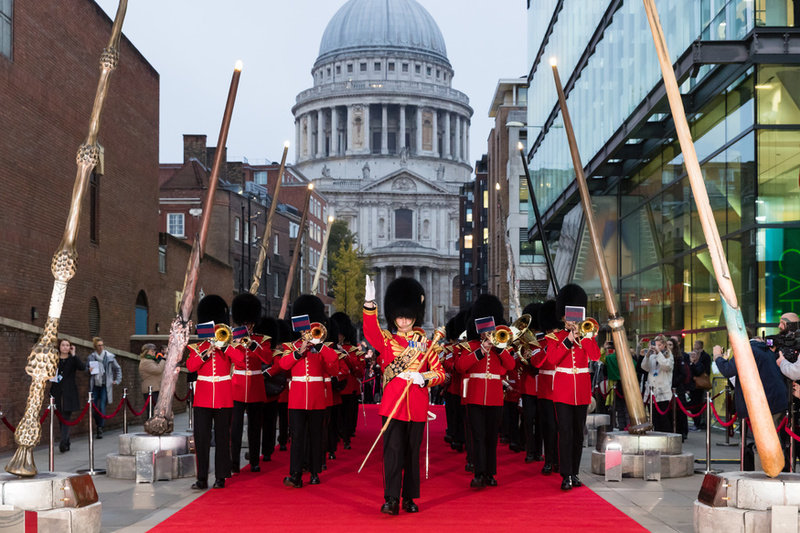 A marching band heralded the switching on of the Harry Potter wands by St Paul's Cathedral. 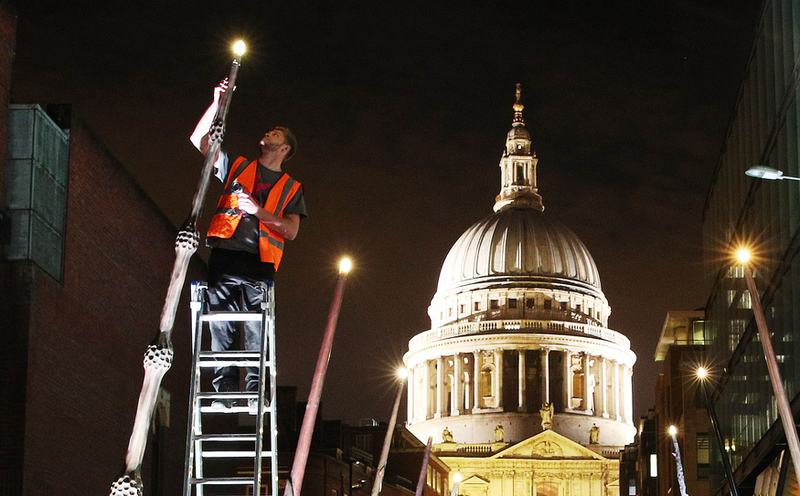 The nine oversized magic sticks — measuring 15-feet-tall — flank Peter's Hill, the approach between Millennium Bridge and St Paul's Cathedral. Resembling the wands belonging to Harry, Hermione, Ron and co, this light installation creates an impressive alternative to street lamps. Even if you're not a Potter fan, you've got to be a teensy bit impressed. 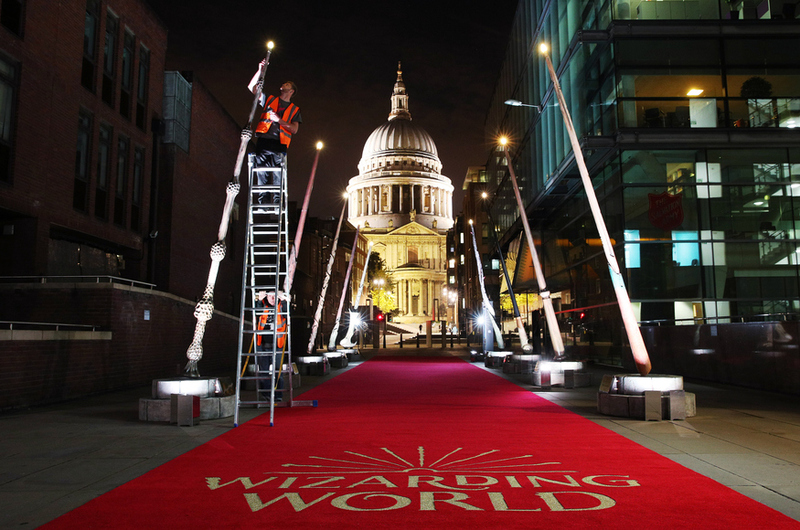 The wands light up every night at 6.45pm from now until 12 November. 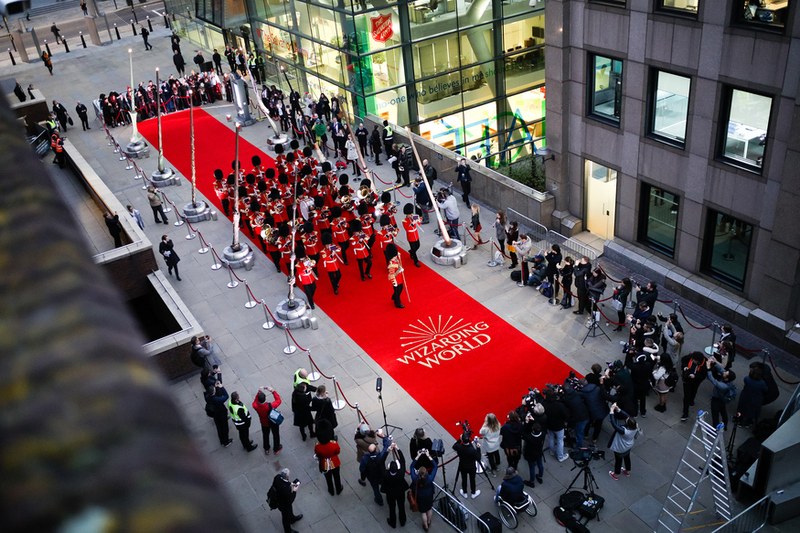 It is, of course, a clever marketing stunt, for the release of the new Potter prequel Fantastic Beasts: The Crimes of Grindelwald. 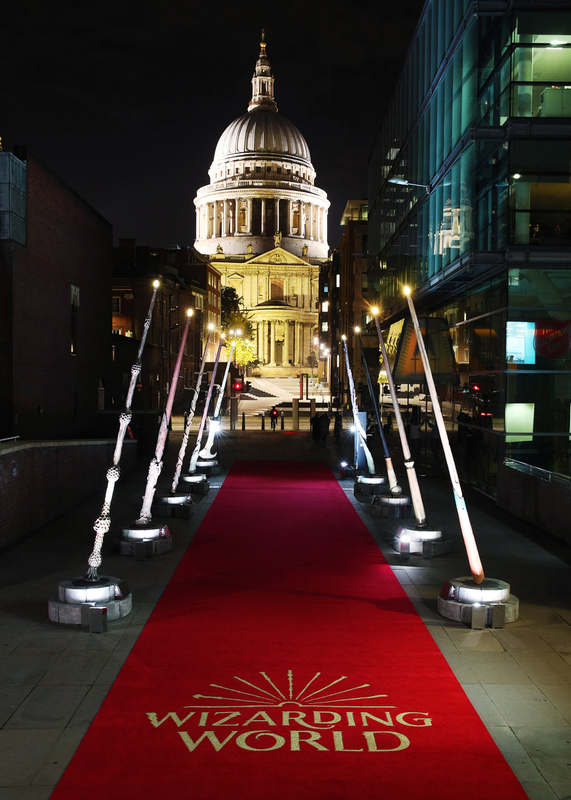 The wands have been created in association with JK Rowling's charity, Lumos, as part of the City of London Arts Initiative for public art. 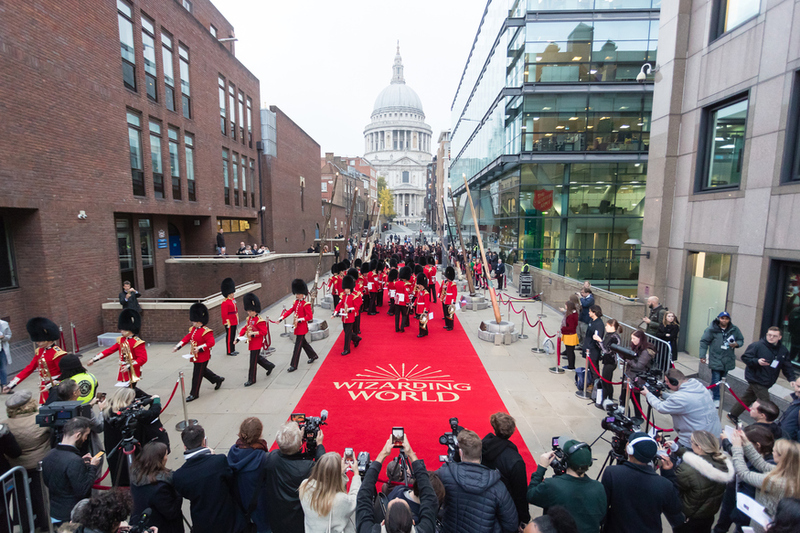 It's free to go and see the wands (good news for any parent who's spent £30 on one from a Potter gift shop). And need we say: it's going to get busy down there. Fantastic Beasts fan? 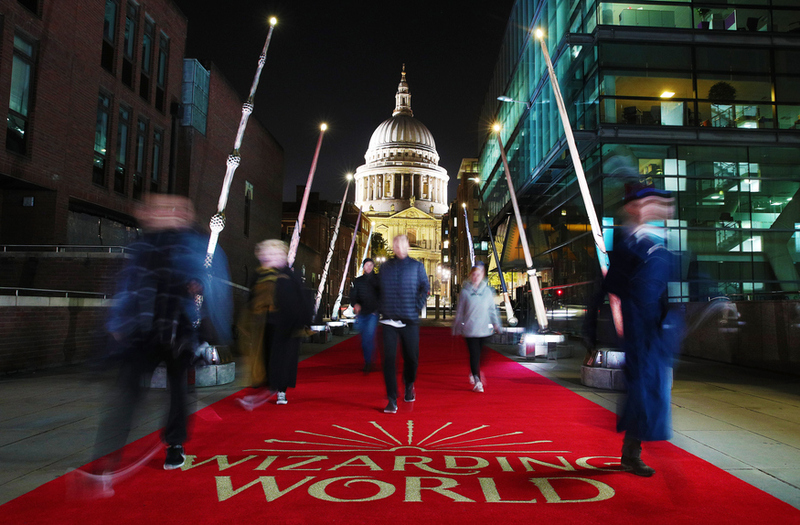 Check out the London locations where The Crimes of Grindelwald was filmed — and then get booking for these Crimes of Grindelwald launch events in London.